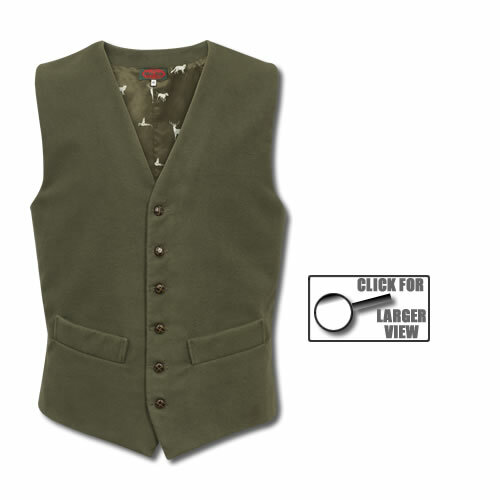 Out 'silk' backed waistcoats have a buckle adjuster which allows a slightly more fitted style compared to the moleskin backed options. We offer a wide range of backing 'silks' (not all 100% silk, but this is the term used for silk and satin fabrics). 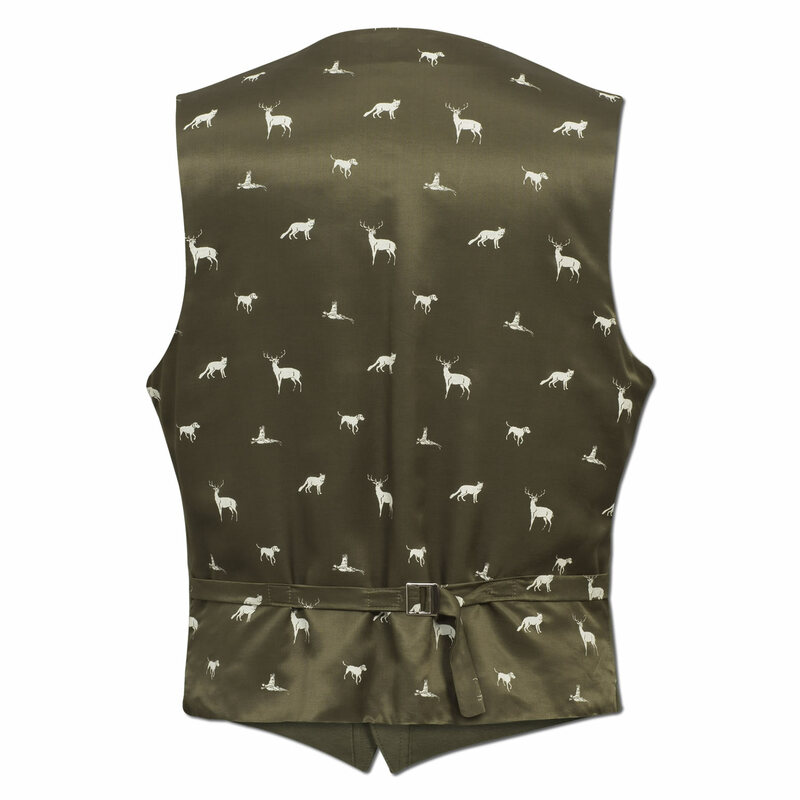 The silk backed waistcoats are the same price as our moleskin backed, however some of the speciality silks like the 'olive hunt' shown incur a £ 10.00 premium. 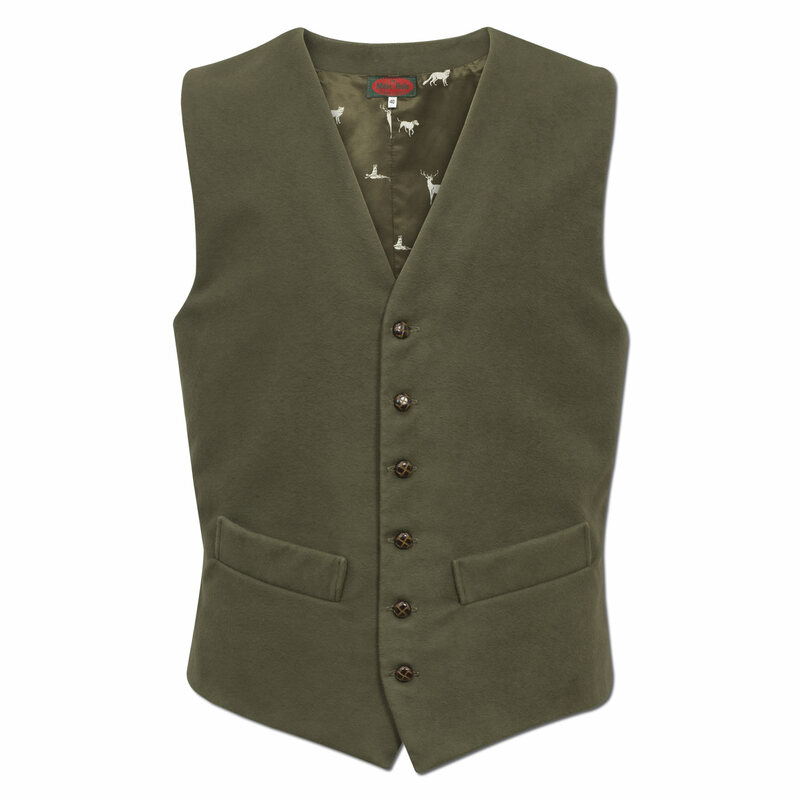 As all of The Mole Hole Silk Backed waistcoats are made to order we offer a 'TRY BEFORE YOU BUY SERVICE' for £ 5.00. 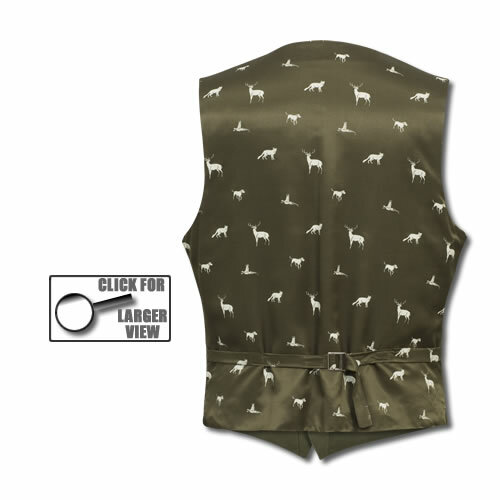 Please go to the order page to complete your details - we will call you back to confirm your measurements and take payment for your order. We welcome your phone call or email should you have any questions.